The International Gay Rodeo Association (IGRA) hereby endorses and adopts the promotion of animal welfare and the humane, responsible treatment of animals in their housing, feeding, training, exercising and competition. We shall strive to assure that our events are purposefully tailored and executed to provide animal and human participants the safest environment possible and shall act to immediately disqualify or reprimand any contestant, official or contracted personnel found to be treating animals in an inhumane manner. Rodeo events sanctioned by the International Gay Rodeo Association (IGRA) operate under modified rules of professional and non-gay rodeo while preserving LGBTQ participation in this North American tradition. 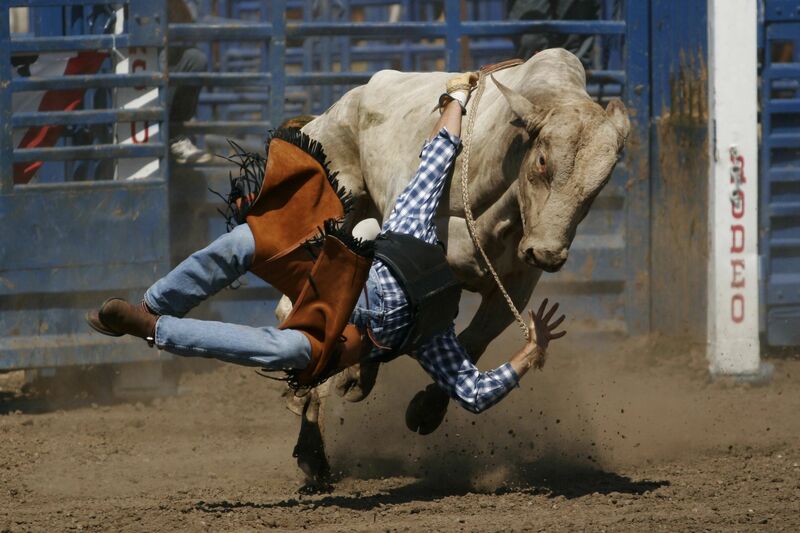 Although consisting of traditional rodeo events such as bull riding and bronc riding, gay rodeo activities have purposefully been tailored to provide the animal and human participants with the safest environment possible, while still demonstrating the skill of the contestant. IGRA uses stock animals in the sport of rodeo. Our position is that this responsible use of stock does not rise to the level of abuse. IGRA does not abuse animals nor condone animal abuse, at any time, in any way, by anyone. The IGRA imposes specified rules related to animal welfare which are strictly enforced. The Association penalizes any contestant, official or contractor found to be treating any animals inhumanely. The minimum penalty for contestants is immediate disqualification from further competition. IGRA Certified Officials are routinely evaluated by IGRA committee chairs and educated regarding IGRA animal use policies. Stock Contractors are informed of our policies and bylaws related to animal welfare and may suffer financial penalties for failure to comply. IGRA prohibits the use of electric prods in bucking chutes. Spur rowels in riding events have event-specific requirements. A fleece flank strap is used for bucking events and is not painful to animals in any way. Goats participating in the "Goat Dressing" event are required to be between 25 and 30 inches in height and are rested after every 8 "dressings". Arenas are groomed and leveled for maximum horse safety during the speed events. We prohibit the use of lame, sore, sick, or undersized stock in any event at any time. A large animal veterinarian must be on site from the start to the finish of every rodeo. IGRA directs the removal of any animal from competition that appears to be in danger of injuring itself. Our association has an international level Animal Issues Committee of LGBTQ cowboys and cowgirls that tracks issues related to animal use, annually reviews our animal use and welfare policies and reports directly to the annual convention. All IGRA members, contestants, certified officials and volunteers are educated on and responsible for the implementation of these animal welfare policies at our member association rodeos and at the IGRA-produced World Gay Rodeo Finals®.